303 Protectant Towel Wipes Protect your cover from harsh weather, or dust and debris building up over time. Damaged covers can release heat from your hot tub, which raises your energy bills. Combat unnecessary costs by caring for your cover. 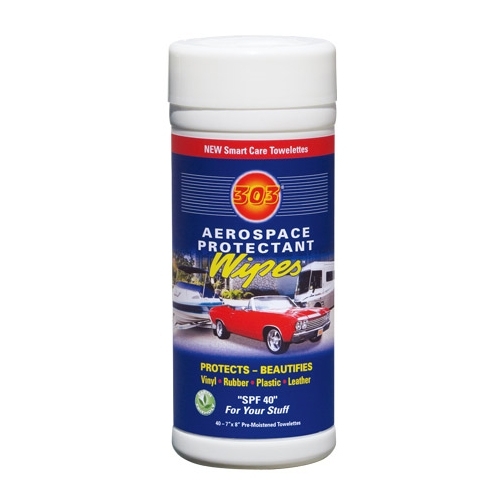 303 Protectant Towel Wipes can also be used on other leather and vinyl surfaces including both indoor and outdoor furniture, car interiors, tires, motorcycle seats & more!